Shaun White represents one of the best chances for a U.S. gold at this year’s Winter Olympics. This Sunday on CBS, watch 60 Minutes correspondent Bob Simon follow the wunderkind up the highest skiable peak on the continent. I hate snowboarders. When I’m skiing down a gentle slope, they come whizzing past me, inches from the tips of my skis. They make me feel endangered, vulnerable, and, worst of all, old. That was pretty much the mind-set I carried with me when I went to meet Shaun White. Were we going to meet the 23-year-old wunderkind at his not-so-modest home outside San Diego? Of course not. We were going to an old mining town hidden in Colorado’s San Juan Mountains called Silverton. Population: 500. Average annual snowfall: 500 inches. The only way to get there is over a mountain pass that is treacherous in the best of times. The day we crossed it there was a ferocious blizzard. We really didn’t know whether we’d make it. And this wasn’t Afghanistan. It was Colorado. One of our camera teams didn’t show up for a day, which was a good start to our shoot. Avalanche training? Where I ski there are only bars and coffee shops. When we parked in front of Silverton’s famed Grand Imperial Hotel and waited for a valet to help us with our bags, we were warmly greeted by a kid with long Irish Setter hair and a face full of freckles. I knew it wasn’t Shaun White because this kid couldn’t be a day over 17. First mistake: There weren’t any valets at the Grand Imperial; just an old man and his dog. We seemed to be the only guests. Second mistake: that was very much Shaun White and he seemed glad to see us. After the two-month training regimen he’d been going through in the mountains, he probably would have been glad to see an inspector from the IRS. He and his friends were particularly glad to meet the 60 Minutes producer of our story, a gorgeous blonde who happens to be my daughter. Early the next morning, we left on a pilgrimage to Shaun’s training facility at 12,000 feet. We had been warned that the trip up the mountain—the highest skiable peak in North America—would be long and complicated. We were a little taken aback, though, when our guides submitted us to a lengthy dose of avalanche training before we could begin the climb. Avalanche training? Where I ski there are only bars and coffee shops. There was no ski lift where we were going. We went up the mountain by SUV, helicopter, snowcat, and snowmobile. From the helicopter, the mountains looked jagged, magnificent, and extremely inhospitable. Then we saw Shaun’s world, a super pipe, 550 feet long, literally carved into the mountain. It was built by one of Shaun’s sponsors, and was intended to isolate him from the fans and snowboard hopefuls who mob him at lower altitudes. Not only that: Because of the isolation up here, he could develop and practice new tricks designed to bring home gold from Vancouver. He was working on five of them; and one of them, the double cork 1080, he said he would name “the Bob.” That’s when I started loving snowboarders, at least this one. After 42 years of covering wars, insurrections, revolutions, and natural disasters, I had finally earned a name. The Bob. Who could ask for more? And that’s what Shaun and his team called me for the rest of the shoot. Meanwhile, while Shaun was in flight, the Bob was standing at the edge of the pipe, fairly terrified, hanging on to a post, watching Shaun soar. At times, he flies so high that he seems vulnerable to a sudden gust of wind. But his every landing is a soft one. There is a foam pit at the bottom of the pipe—the only one of its kind—and he flies into it in every conceivable position. We thought it would be a good idea if he flew over my head while I was talking on camera. All the members of my team—and of his—took turns cueing him, but nobody got it right. Shaun listened to what I was saying once and nailed it right away. The evening’s entertainment moved to Silverton’s hot spot; a bar called the POW—Pride of the West. The house specialty was tequila, which we all sampled, except Shaun. Then we went to his rented house and watched him and his friends play in their garage band. Shaun was on guitar, but didn’t want to be filmed, perhaps because it’s the one and only thing at which he knows he’s not the best. He told us his competitiveness is a curse: He can’t turn it off. He says it started when he was a kid and was always trying to keep up with his older brother Jesse, whom he idolized. We watched them play a ferocious ping pong match at Shaun’s home in California. He says he gets even more frenzied when they play Monopoly. But he has a very cool head when it comes to real money. He is sponsored, among others, by Burton Snowboards, Red Bull, Oakley, and Target. He is very selective about his sponsors: Because of the nickname he earned after the 2006 Olympics, the Flying Tomato, he says he could have ended up on a bottle of ketchup. Needless to say, he turned that proposal down. Today, he makes his own videogame and his own line of street clothes. He brings in around $10 million a year. There is a culture to snowboarding. It is cool, laid-back, stress-free, and hassle-free. And that’s exactly how Shaun White comes across. During the few days we spent with him, I didn’t get a glimpse of the competitive athlete who will be sorely disappointed if he returns from Vancouver with silver or bronze. He also doesn’t come across as a kid, even though he does enjoy his collection of toys. His favorite is a Lamborghini. Of course, he is only 23. When he gets a little older, he might have to trade in his snowboard for a pair of skis and come cruising down the bunny slopes with the Bob. 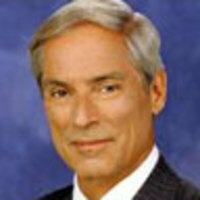 Bob Simon is a correspondent for 60 Minutes , where he has been contributing regularly since 1996. His work has appeared on nearly every CBS News broadcast and has won 23 Emmys. He is also the recipient of a Peabody Award and four Overseas Press Club Awards.